But what did Razak and his cronies (allegedly) buy with all this (allegedly) stolen money? 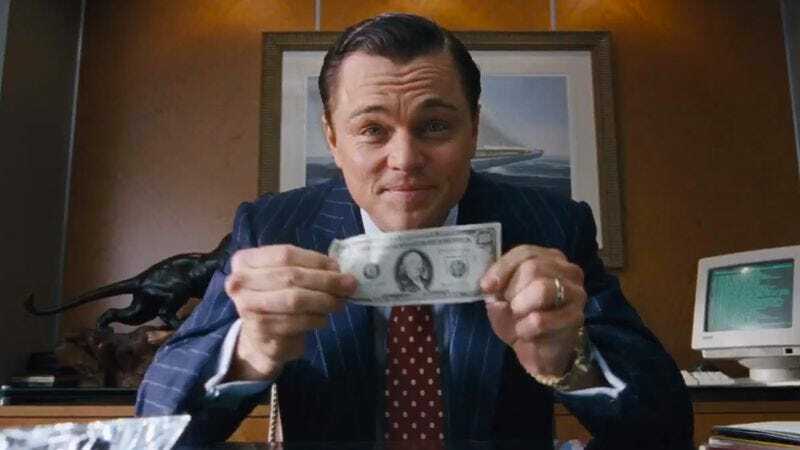 According to the BBC, a couple of luxury hotels, property in New York, London, and California, a private jet, a handful of very expensive Impressionist paintings, rights to songs from the EMI back catalog—oh yeah, and funding for the movie The Wolf Of Wall Street. Apparently, Riza Aziz, stepson of Prime Minister Najib and CEO of LA-based production company Red Granite—which produced The Wolf Of Wall Street—was (allegedly) involved in the scheme. That doesn’t necessarily prove stolen money was used to fund the film, but it was enough for feds to file a lawsuit and raid Red Granite’s offices and seize company assets yesterday. They clearly have their suspicions, though: Deadline quotes Assistant Attorney General Leslie R. Caldwell of the Criminal Division as saying that the DoJ is looking to seize any future royalties Red Granite might receive from the film. Caldwell further alleges that more than $100 million divested from the 1MDB fund was used to finance the film, not to mention extravagant spending—including a gambling trip to Vegas—by Aziz, his Red Granite co-founder Christopher “Joey” McFarland, and an unnamed “Hollywood Actor 1” (DiCaprio going Method, perhaps?). The money was allegedly gathered by a member of Najib’s inner circle, Jho Low, who received a special thanks in the film’s credits. Red Granite is denying all of this, of course. In a statement released yesterday, the company says, “To Red Granite’s knowledge, none of the funding it received four years ago was in any way illegitimate and there is nothing in today’s civil lawsuit claiming that Red Granite knew otherwise.” It went on to say that the lawsuit, “which is limited to future proceeds generated by a single film,” won’t impact the company’s future development slate.